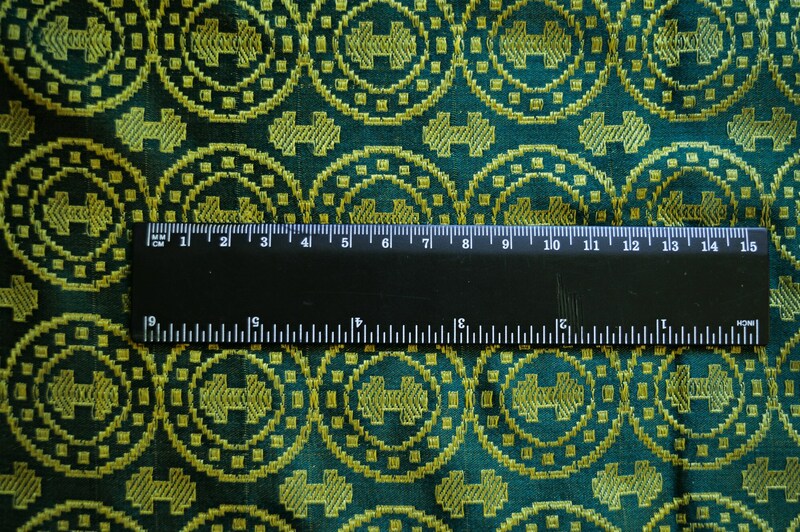 100% natural silk brocade fabric in eye-catching double-axe pattern with and without medallions around them, in moss green and mustard yellow. 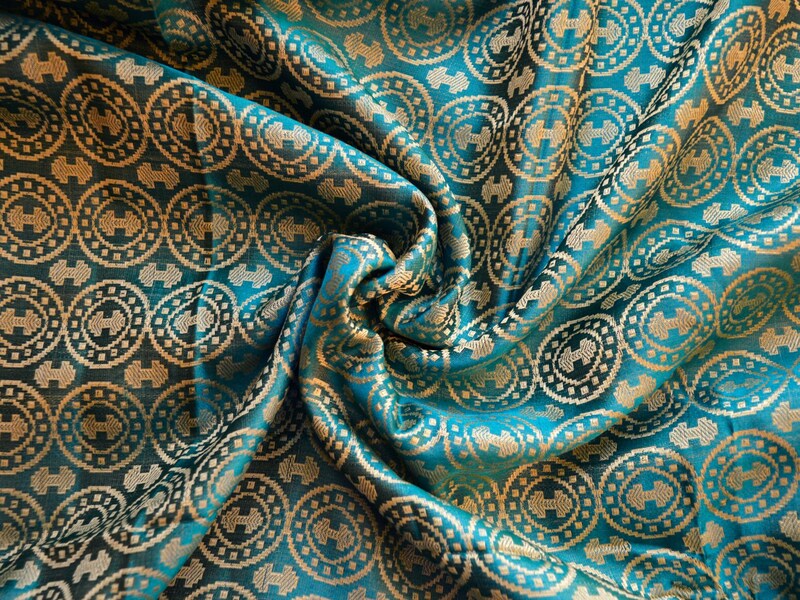 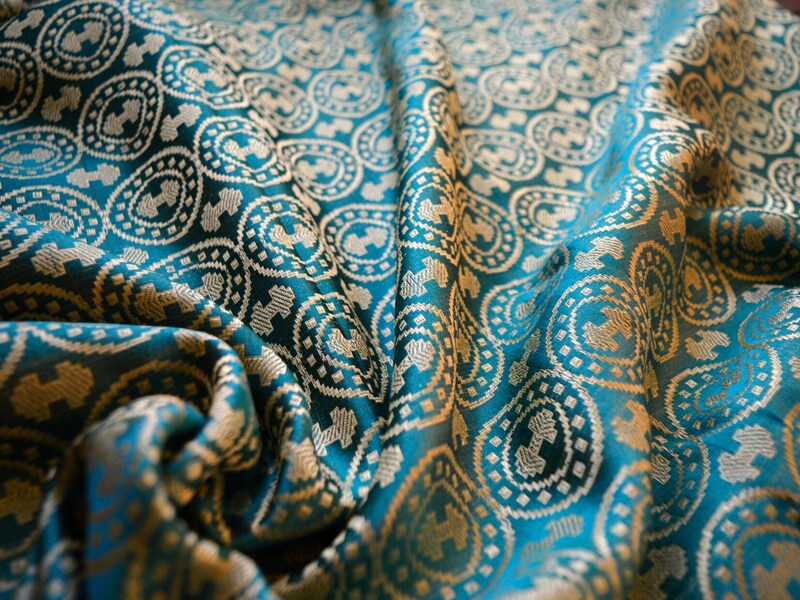 Based on fragments of silk fabric found in Moschevaya Balka, famous for it's caftan and other clothes. 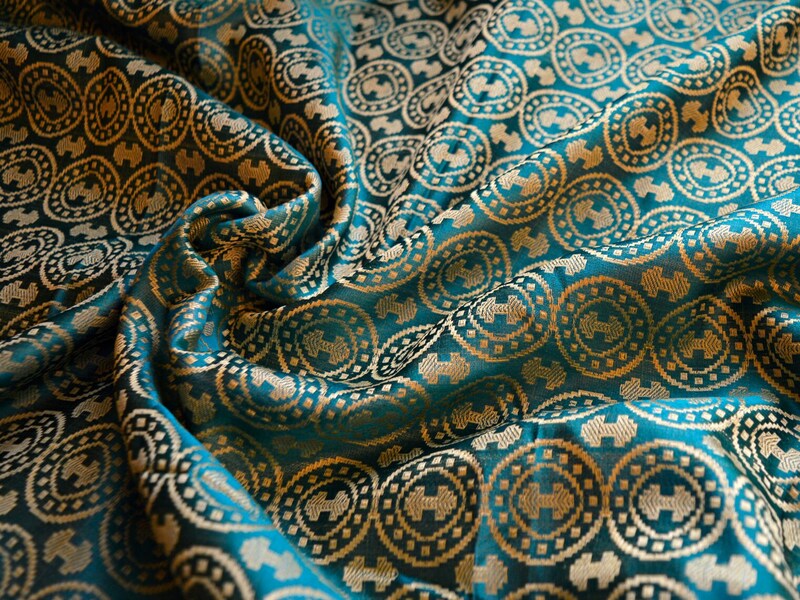 Thank for this wonderful fabric and the very nice package!